We've been married almost 6 years now and some of the appliances we got have started to conk out. The first one was our refrigerator which died on us on Christmas Eve last year. Last week our microwave oven (a gift from Jay's cousin Iza) just kept beeping and refused to heat anything. So we shopped around for a new microwave, but ended up buying a new over toaster (our Imarflex oven toaster still works though). 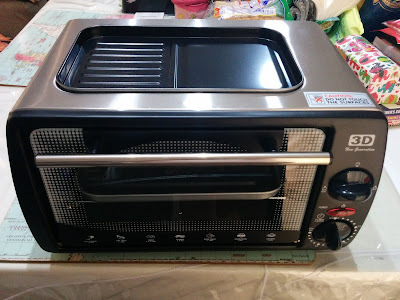 We got curious so we bought one (I know, I know it isn't a need, but the oven toaster was too cute to pass up). 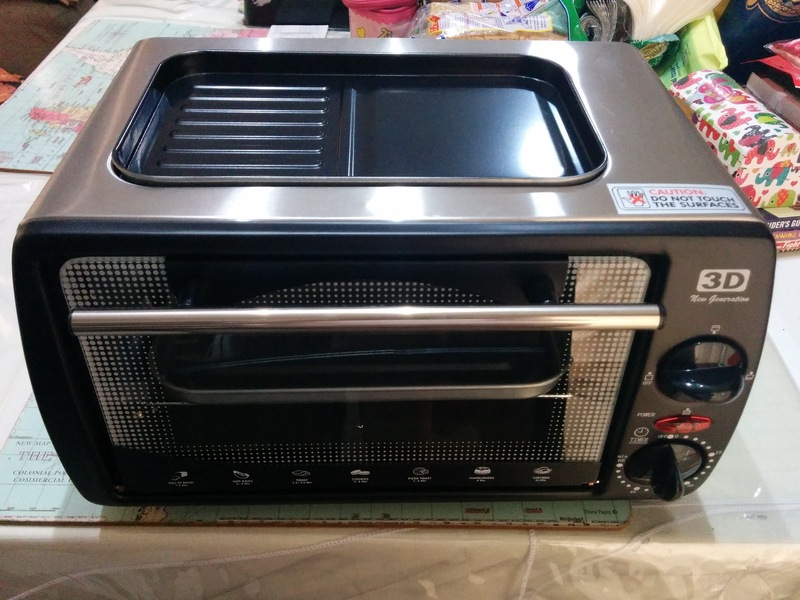 Presenting, the "convertible" of oven toasters (because it looks like it has a sun roof!). The 3D oven toaster has an added feature. You can heat something from the top of the toaster as well. Brilliant idea since the toaster is hot all over anyway, so why not heat stuff from the top too? The inside toasting area is also pretty spacious, you can actually heat up to 4 slices of pizza. No more piling them on top of each other! You can also adjust the heat area (top, sides, bottom etc.). And it's pretty easy to clean since you can open the bottom part easily. One thing we'll do differently though is use aluminum foil for heating oily food since it's hard to wash oil from the pan.